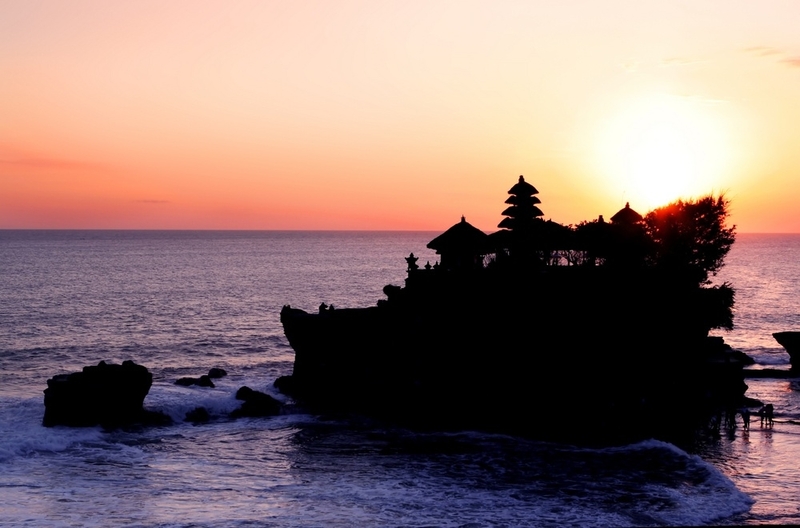 Bali is hugely popular among Australian tourists, and for good reason! The island spot is renowned for its dazzling beaches, fascinating temples, friendly locals and also a huge range of great value accommodation. With hundreds of resort options clustered in the popular south Bali, and scattered across other villages on the island, the hardest part is choosing where to stay during your Bali adventure. Occupying a prime slice of paradise on the western side of Bali, the bustling Kuta Beach deserves its status as one of Bali’s most famous beach resort destinations. Once a simple fishing village, the area’s transformation into a dining, shopping, surfing and partying hub draws in swarms of tourists and sees its population boom all year round. The Grand Inna Kuta is one of the locale’s most lavish accommodation spots, only moments from all the sand, sun and surf of Kuta Beach, while accommodation including Kuta Lagoon and Pool Villas and Legian Paradiso Hotel are packed with facilities, perfect for families, at a low price tag. Pura Taman Ayun Temple in Mengwi, South Bali. A little far removed from the hustle and bustle of Kuta is Ubud, considered one of Bali’s most creative and cultural spots. 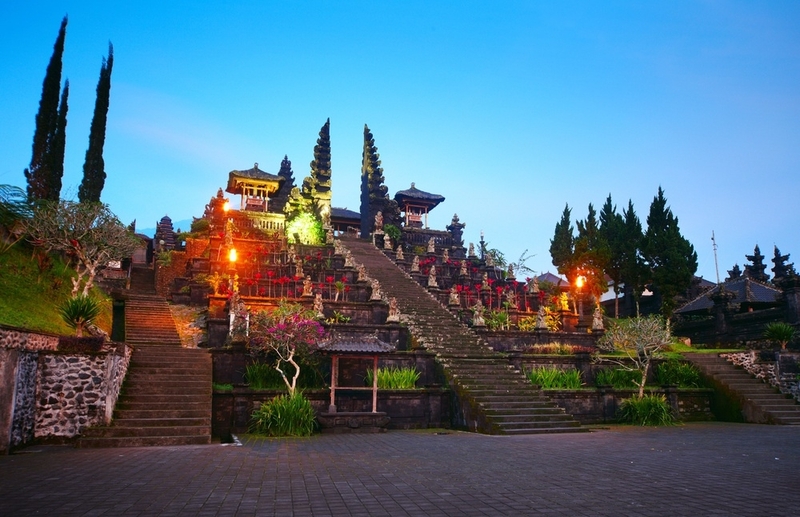 Consisting of fourteen villages, Ubud is home to a stack of temples, art galleries and museums, and historic and cultural sites, making it a prime spot for travellers with an interest in history, art and culture. Sanur Beach in Sanur, South Bali. The next town north of Legian in north Kuta, Seminyak boasts some of Bali’s most celebrated luxury accommodation and high-end outings, from glitzy bars to fine dining. Much more sophisticated than Kuta, stay in the acclaimed resorts of Amadea, Courtyard by Marriott and Double-Six and experience the real meaning of luxury. 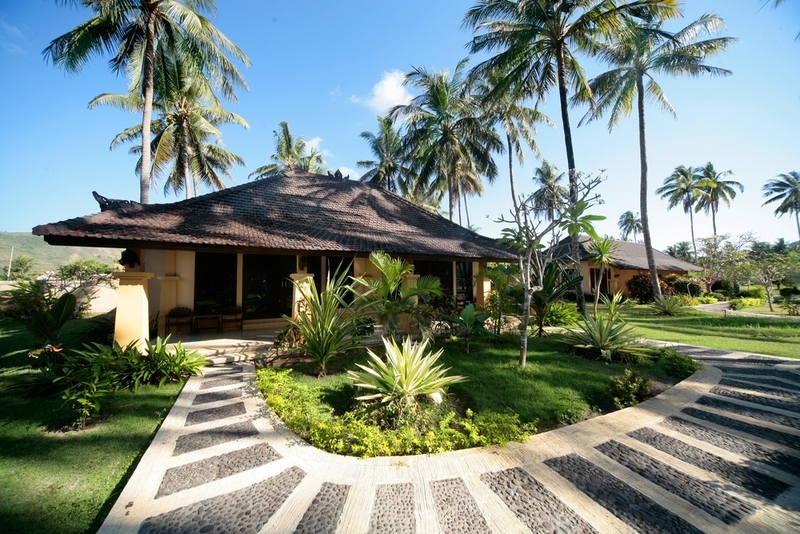 Nearby Nusa Dua is another enclave of hotels renowned for its rest and rejuvenation experiences in an idyllic setting. Located on the southern tip of Bali, Nusa Dua is lined with golden sand beaches which look like they’ve been ripped straight from a postcard. Rest up at the family-friendly The Puri Nusa Dua, close to Mengiat Beach and Nusa Dua Beach, unwind at the Swiss-Belhotel Segara, or enjoy unrivalled five-star service at the decadent Bulgari Resort Bali in Uluwatu. Also in the east, Amed’s alluring mix of fishing villages, coastal scenery and access to temples has transformed it into an emerging tourist spot. With a range of five-star accommodation, book a stay in hotel favourites including the idyllic Griya Villas and Spa, or the great value three-star Baliku Dive Resort. Mother Temple of Besakih in East Bali. 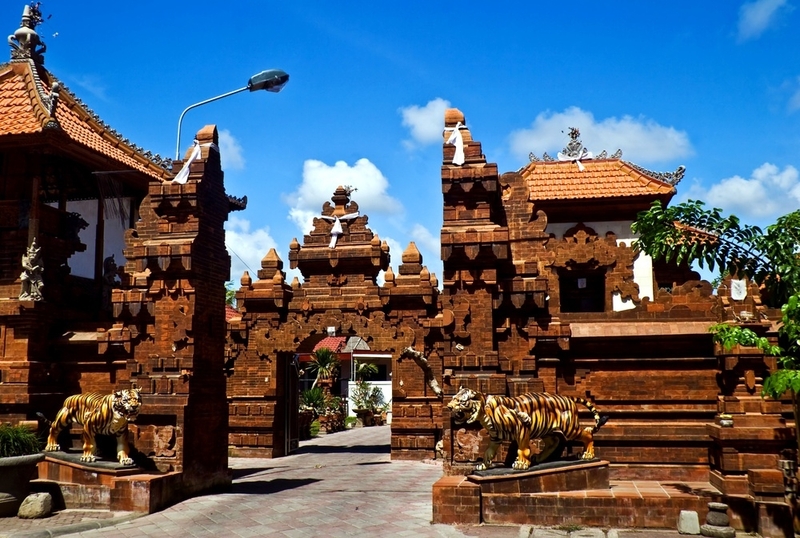 Singaraja is the main administrative centre of North Bali and is home to a range of great stays. The old harbour town boasts plenty of character as the former colonial capital of Bali, with its history dating back to its Dutch colonial past evident in many of Singaraja’s buildings and warehouses. Lovina Beach is a more quiet and coastal option when staying in North Bali, easily accessible via shuttle bus from some of Bali’s main hubs. Renowned for its black sand beaches and mountainous coastline, Lovina is a great spot for anything from canyoning, diving and kicking back. Rest and relaxation is easy in the region’s hot springs and spa facilities, also hosted a stones throw from your room in some of the region’s acclaimed resorts including The Damai and The Lovina. Pura Ulun Danu Bratan on Lake Bratan, North Bali. The West Bali region is known as Jembrana, and is one of the island’s least visited provinces – meaning it’s a great escape if you’re wanting a sparsely populated and authentic Bali experience. Pura Tanah Lot is one of Bali’s most popular day trips in west Bali, famed for its breathtaking temple, which forms one of Indonesia’s most photographed spots. For the Balinese people, Pura Tanah Lot is one of the most culturally significant spots in south Bali, and for tourists it’s worth the trip up from south parts of Bali or even worth staying close by. 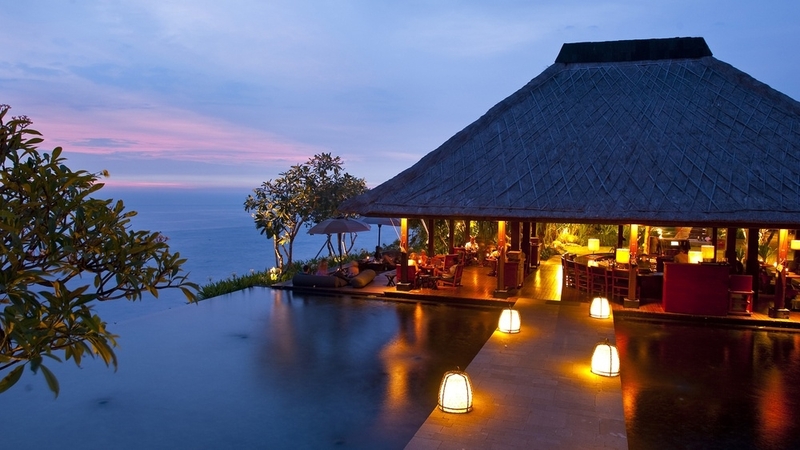 The area surrounding the temple is home to fantastic accommodation options including the 5-star Pan Pacific Nirwana Bali Resort in Tabanan, which sits atop a sheer cliff which boasts truly incredible views of the coastline. Much further west is Negara which gives travellers excellent access to the West Bali National Park and is famous for its buffalo races. Pura Tanah Lot in Tabanan, West Bali. Need more reasons to visit Bali? 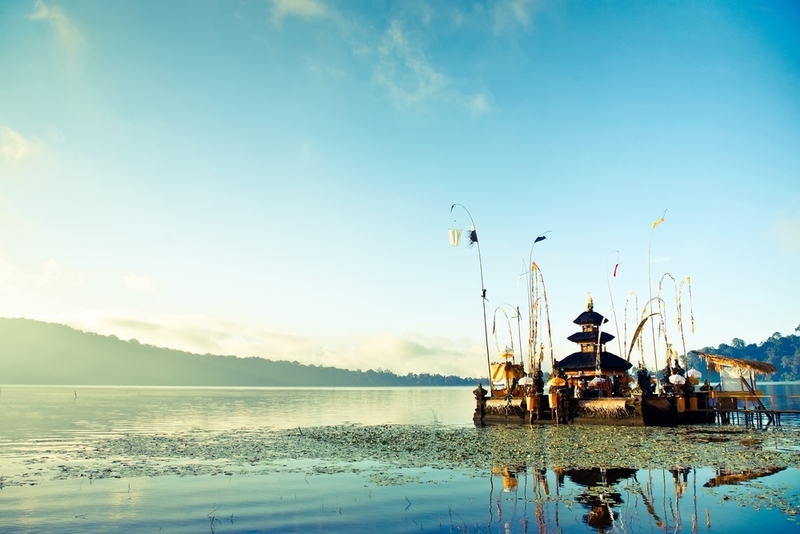 Take a look at Webjet’s great deals on cheap flights to Bali, hotels and holiday packages and plan your Bali holiday today.